La Paz, the administrative capital of Bolivia, is one of the highest capitals in the world. 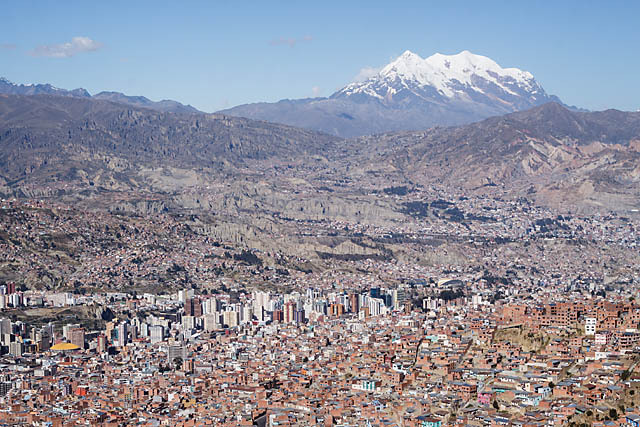 Sitting in a 'bowl' surrounded by high mountains, including the beautiful imposing peak Illimani (the 'guardian of La Paz'), the city should be viewed from afar. And one of the best places to see La Paz in its environment is in the neighbouring city of El Alto. 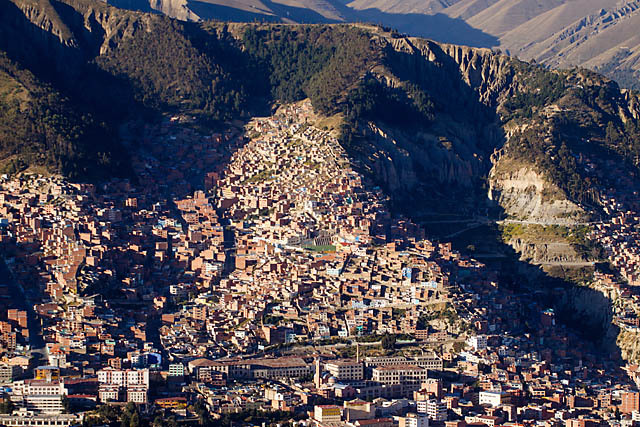 El Alto is one of the highest cities in the world at 4150m (La Paz is about 3650m). 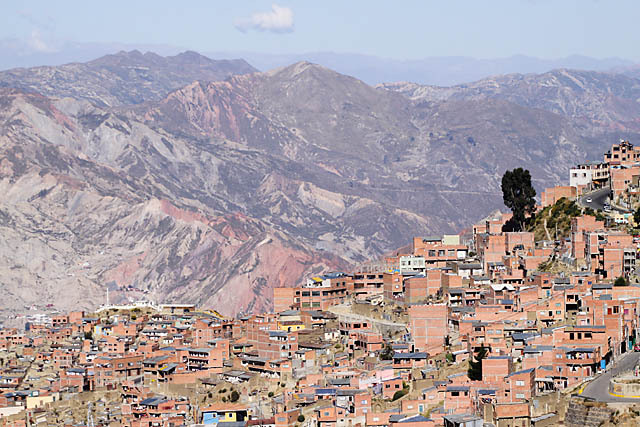 Thus from El Alto, there are commanding views over La Paz, which provide an excellent photographic setting. Aside from shooting during the day, stay till night where the city lights light up the valley, and the scene is easily one of the best city night scene you can find. Moreover, with Illimani as a backdrop, it was almost picture perfect. To complete the "perfectness", wait till a full moon day. When the full moon rises behind Illimani, it is really quite a beautiful sight!! So here's sharing a gallery of photos of the views from El Alto! 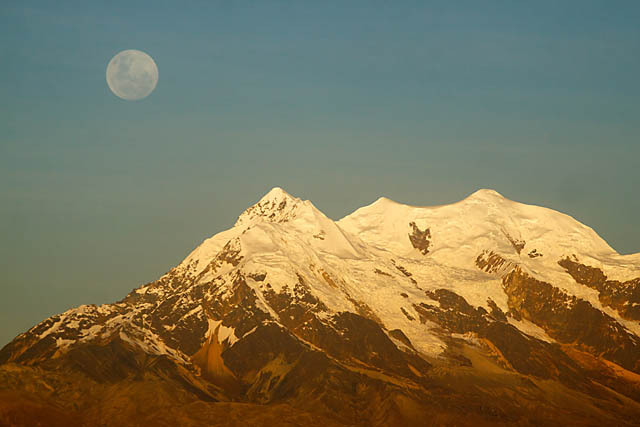 Moonrise over Illimani - Beautiful! 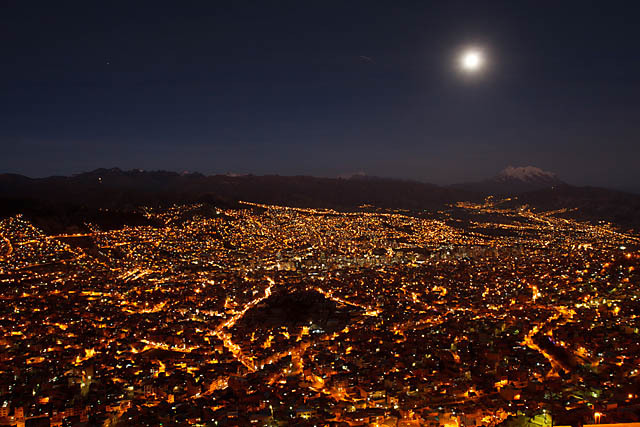 City lights at night, with moon over Illimani - picture perfect!